My final day in New York brings me to one of my biggest artistic inspirations, ever since I was introduced to photo-realism a long time ago. 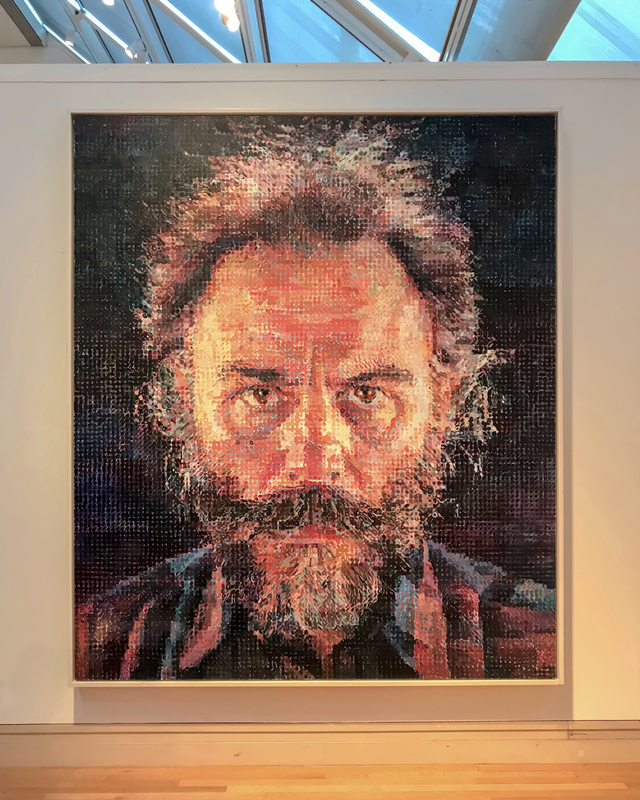 Chuck Close, an American legend and a pioneer of the photo-realism movement is known for his gritty portraits. His atypical pointillist technique in this work at The Met, usually known for an almost hyperrealistic style, is a later evolution towards doing work that aimed to look like pairings. I heard a dear friend in New York say how most of today’s artists have little to say. Much as that sentence struck me hard, it is probably also true that generations of artists who came after Close and many greats, haven’t fought to find their own truths.